In order to get to Banff, we had to fly into Calgary first. So Jenny, Charlie, Karl and I spent the night in Calgary and then drove to Banff National Park the next day. 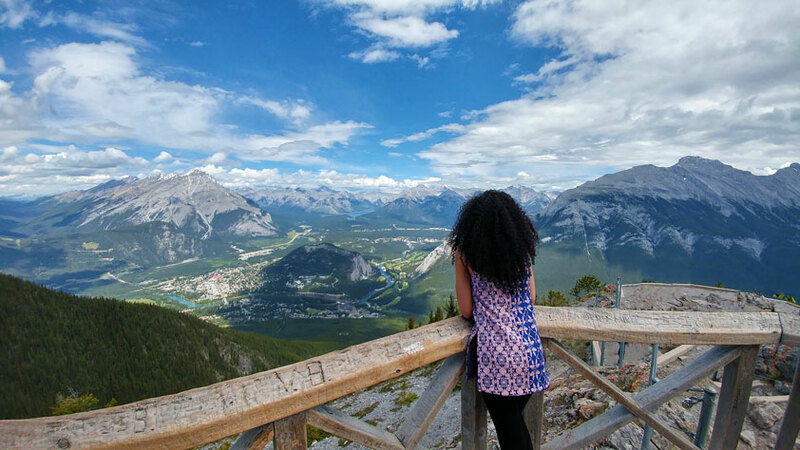 If you’re looking for things to do in Banff, there are plenty of options! 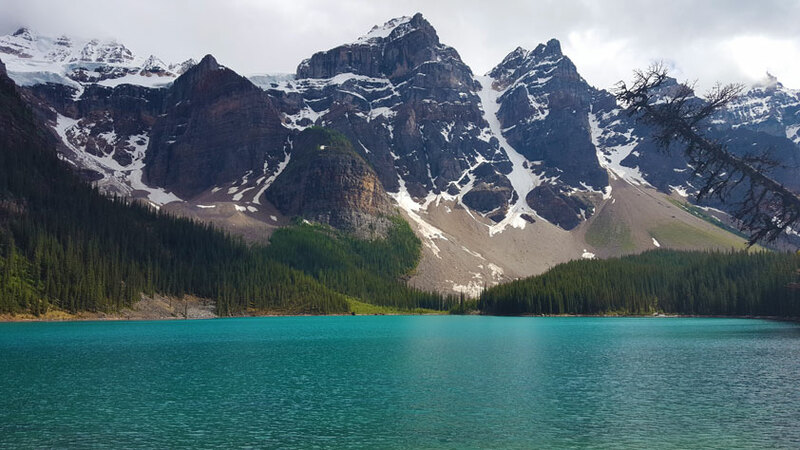 Here are my 15 favorite Banff attractions we enjoyed during our trip, as well as pricing information. 1. 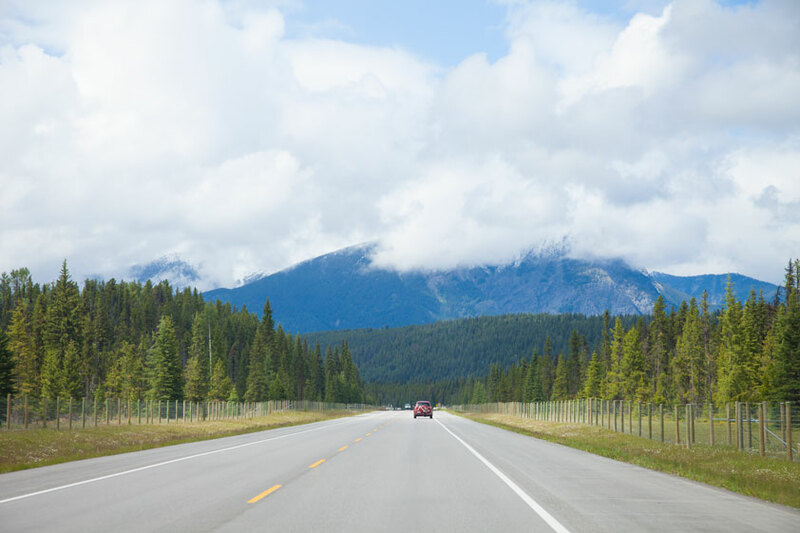 Rent a car and enjoy some beautiful mountainous scenery on the drive from Calgary into Banff National Park. 2. Explore the small town of Banff. We walked up and down Banff Avenue and all the little side streets. I love how all the streets are named after animals—how charming! 3. Visit the fabulous Fairmont Banff Springs Hotel. 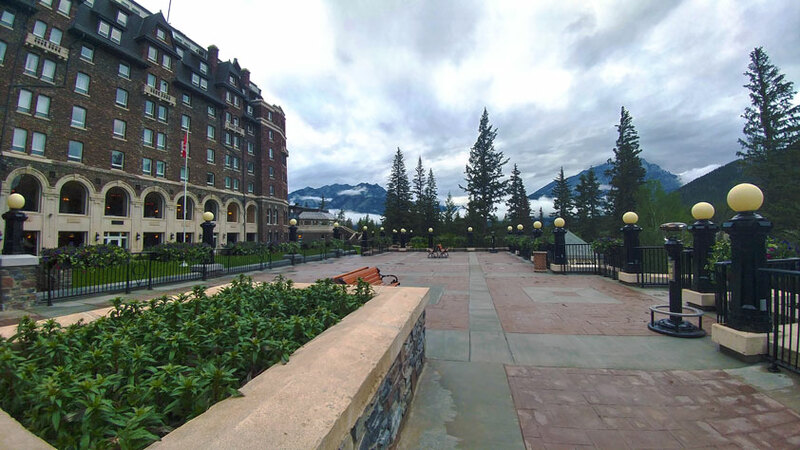 It’s free to just walk around Fairmont Banff Springs Hotel —we went to the little museum that they have there and it displays some really great info about Banff’s history and culture. It’s called Heritage Hall and is located right above the grand main lobby. 4. Make dinner reservations at one of the restaurants at the Fairmont. We dined at Indian Summer, where we ate some divine Indian cuisine while enjoying an incredible view of the Canadian Rockies. 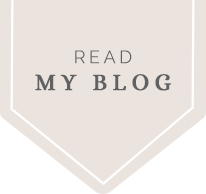 You can read about my food recommendations in Banff here, or just watch the video below. 5. 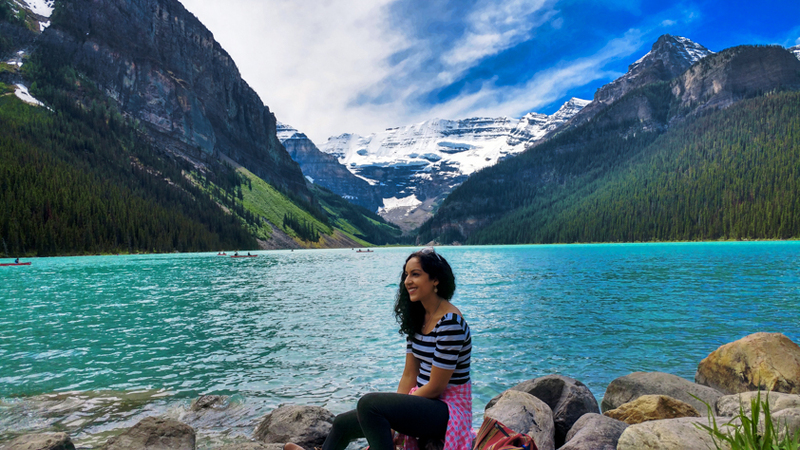 Experience the unbelievable aqua color of Lake Louise. The photos seem unreal right? Check out this video if you don’t believe it! There are a couple different trails right by Lake Louise that you can take, but we chose to take the Lake Agnes Trail. And here’s an important tip: use the bathroom before you begin hiking! We ducked into the Fairmont Chateau Lake Louise to relieve ourselves before the start of the hike. Trust me—you don’t want to use the restroom by the teahouse. 7. 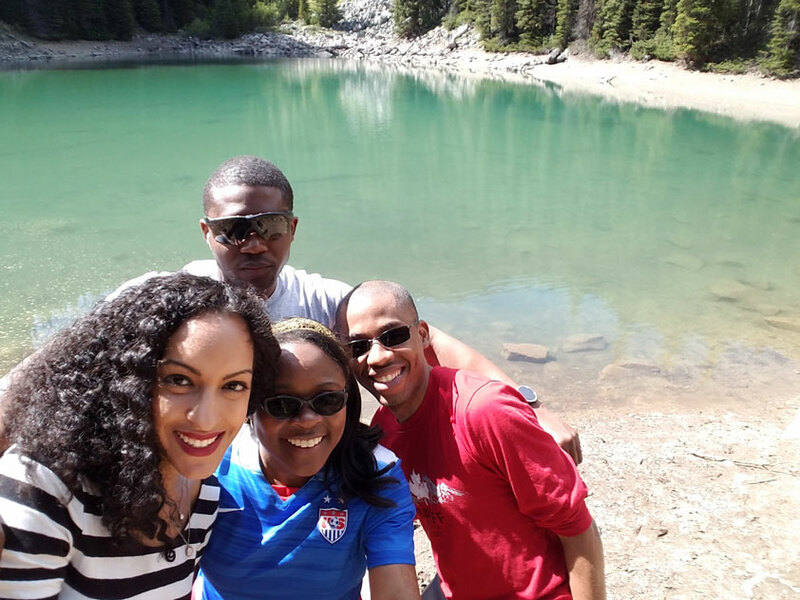 During your hike, stop and look at your reflection in Mirror Lake. 8. Hike up to Lake Agnes Tea House. Getting to Lake Agnes Tea House is a fairly moderate hike. Once you get there, you can have some tea, eat some snacks, and stare at the mountains and sparkling glacial waters of Lake Agnes. 9. Hike up to the Bee Hive. If you’re feeling really adventurous, don’t stop at Lake Agnes. 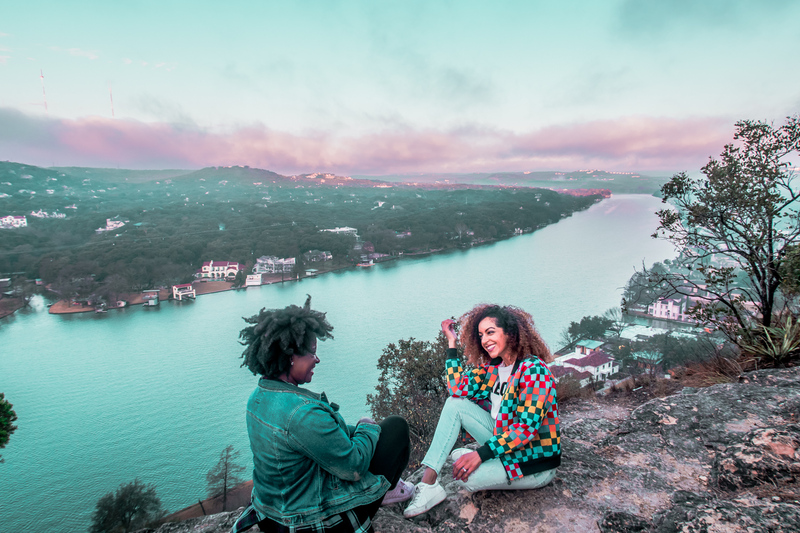 Keep hiking around the lake and all the way up to The Beehive (and no it has nothing to do with Beyoncé). 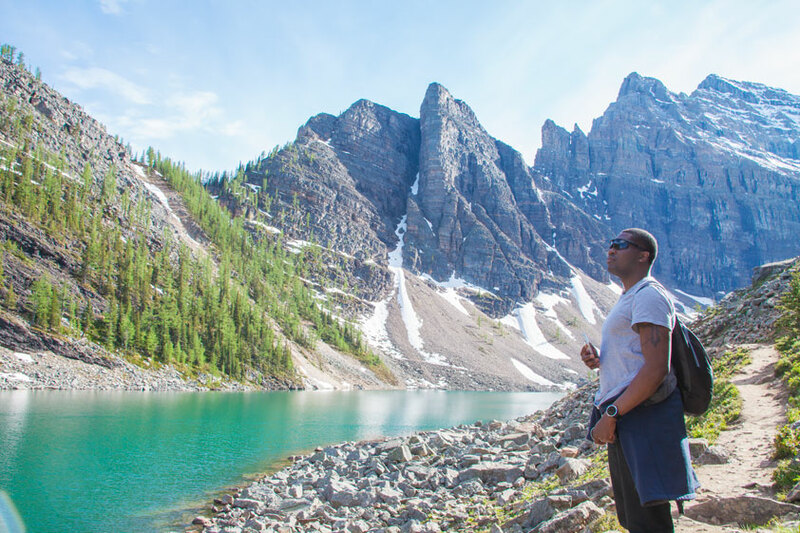 We felt like total champs when we made it all the way up to the top and enjoyed a breathtaking view of Lake Louise. 10. Drive to Moraine Lake! Moraine Lake is only about 15-20 minutes from Lake Louise, so technically you can go there right afterwards. We didn’t have enough time to do it the same day though, so we visited Moraine Lake the next day instead. While Karl and I hiked up the rock pile, Charlie and Jen walked around the lake and captured this photo. Charlie is a photographer too, so check out his Facebook page! 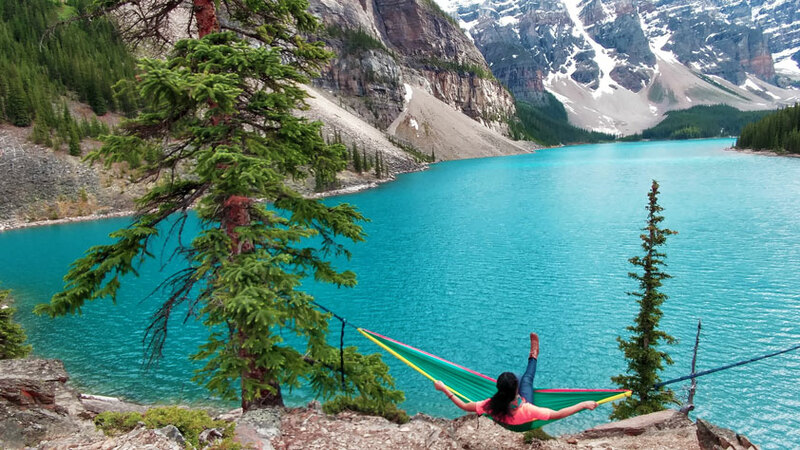 You can climb up to the top of the rock pile, set up a hammock between two trees, and enjoy a unique view of Moraine Lake. Just don’t fall! 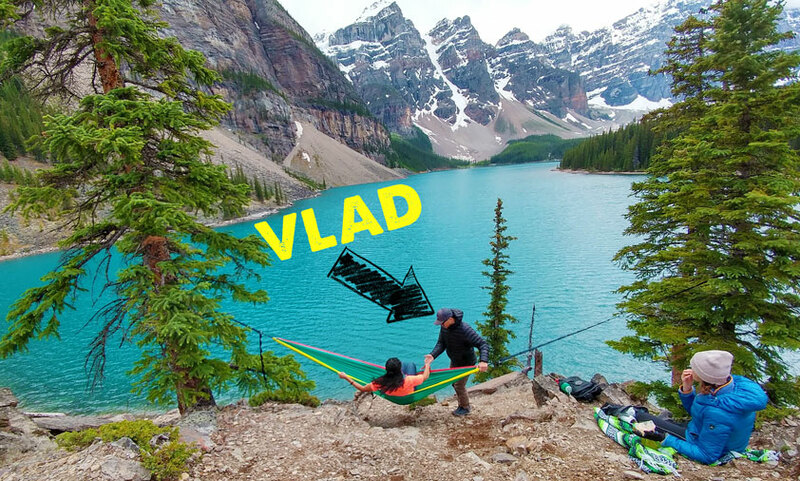 I actually left my hammock at home accidentally, but miraculously we ran into a guy named Vlad who had one! What were the odds? Thanks Vlad! Oh, and it turns out Vlad is also a YouTuber! So check out his page and follow his Vladventures. After a day of hiking, your body will be aching. So treat yourself to a nice soothing hot spring. 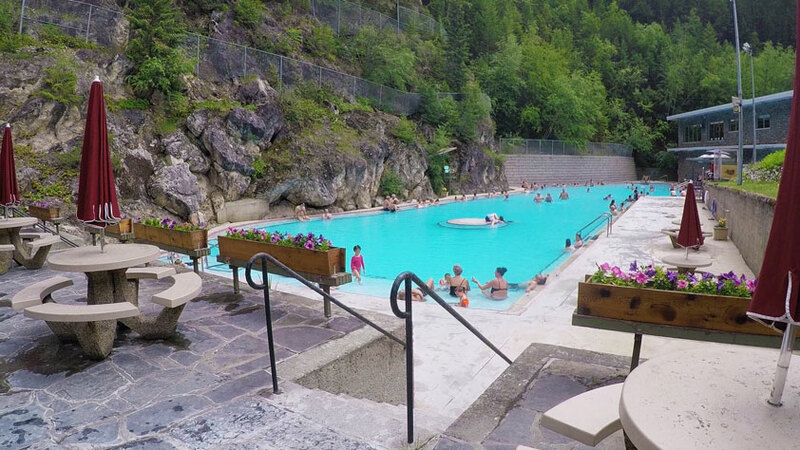 Jenny told us that Banff Hot Springs was small and crowded, so we ventured out to Radium Hot Springs which had a lot more space. Ok, well we mostly just saw a bunch of adorable little ninja chipmunks running around, but hey maybe you’ll get luckier! We ran into a local who actually had some great advice on the best place to spot a bear. According to him, it’s in Bow Valley. 14. Ride on the Banff Gondola. Admission to the Banff Gondola is a little pricey at $49 CAD, but totally worth it for those amazing mountain views. 15. And finally, walk around Sulphur Mountain. The Banff Gondola will take you up to the top of Sulphur Mountain. We walked around and explored this area on our last day and it was a great way to bid farewell to the Canadian Rockies. 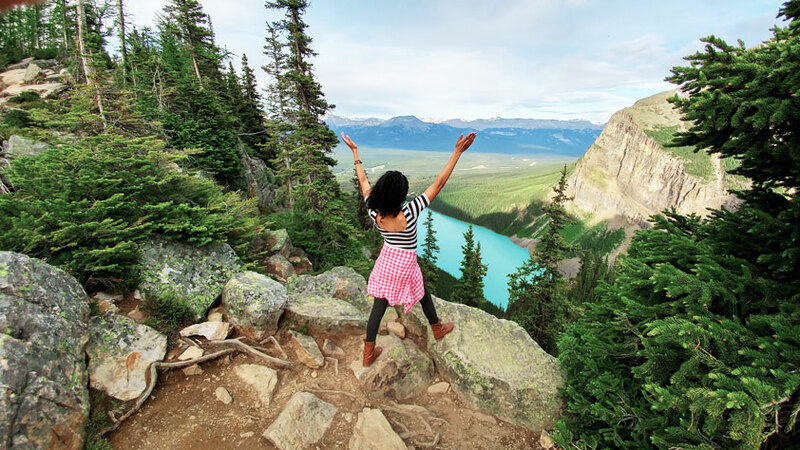 Which of these Banff attractions do you plan on experiencing during your trip? Let me know in the comment section below! Wow, you’ve captured some beautiful scenery! Lake Louise and Mirror Lake look spectacular! Love the aqua water. I would love to see more of Canada. I love the Lake Louise picture. 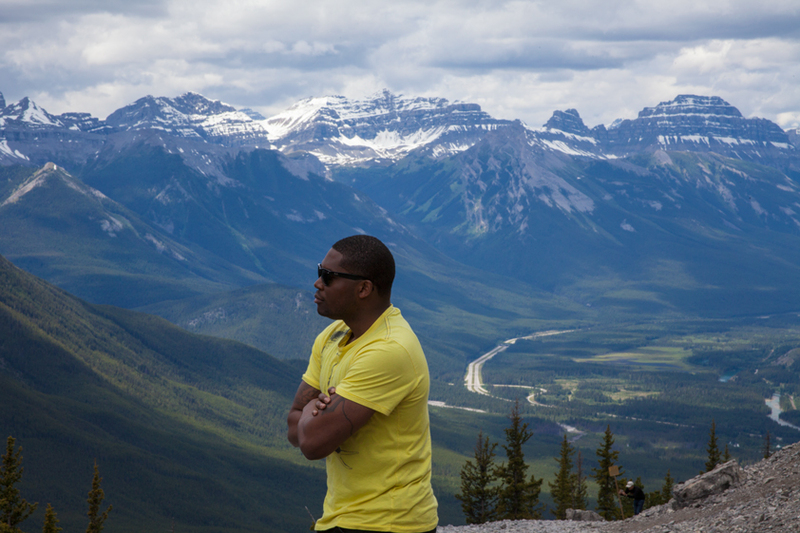 I’ve been to Edmonton but never made it to Banff. Never realized they had hot springs! I’ve never even heard of Banff so this is great to read. Seems like tons of things to do out in nature. Glad to introduce you to a new place! Such great photos! 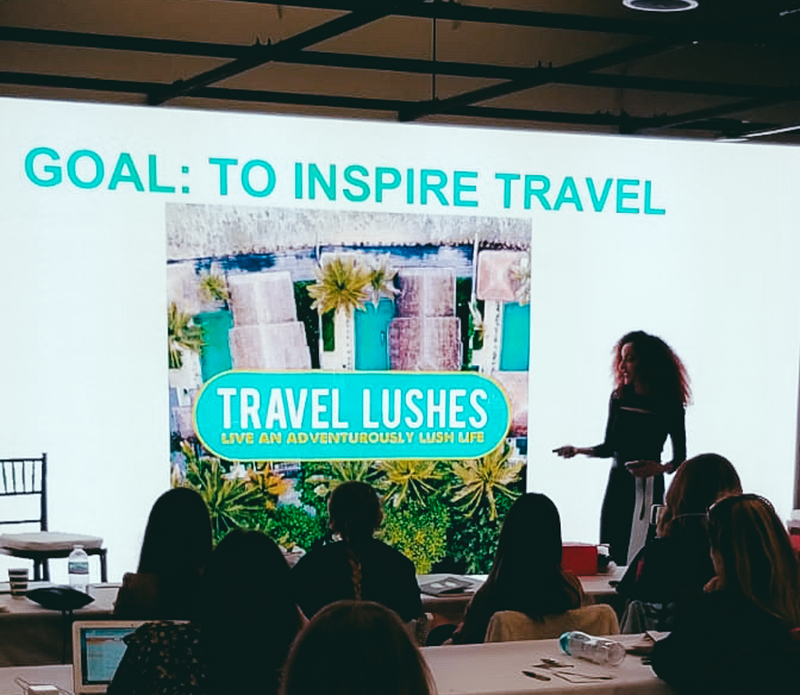 We are hoping to make it there next year and you provided some great ideas. Did you find Calgary worth a 2 night stay? That was our plan before heading here but not sure there is enough to see and do. Yeah I wasn’t the biggest fan of Calgary, but maybe I just didn’t give it enough of a chance. We even went to the rotating Sky 360 restaurant at Calgary Tower thinking that would be amazing, and while the view certainly was, the food was just disappointing! Banff comes alive in all its dazzling beauty in the post. The photos are so stunning, that they border on the surreal. The videos are amazing too. I have read lots of articles on Banff but I must say yours was rather interesting and easy to read. My brother has been to Banff twice and he teases me on that note but I am definitely going to make it to Canada before the end of next year! 🙂 Thanks for sharing. You have seen more of Canada than I ever did!